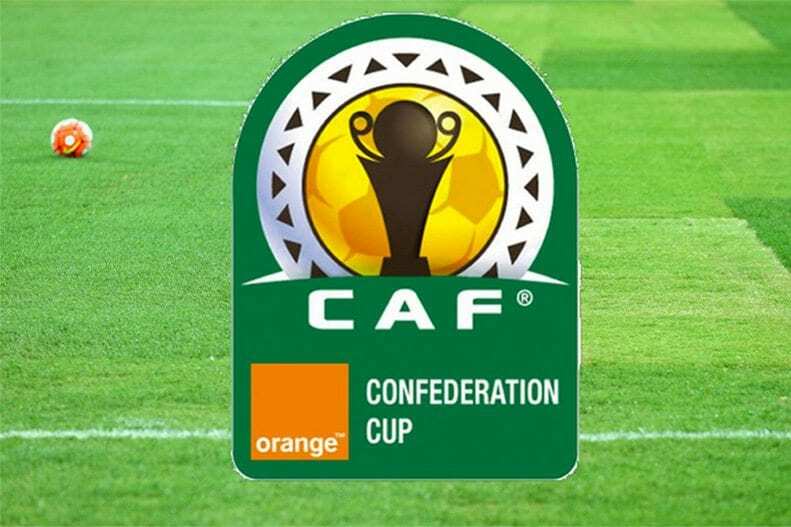 Kenyan Premier League champions Gor Mahia will play host to Algerian side Nasr Athlétique de Hussein Dey, otherwise known as NA Hussein Dey on Sunday afternoon in a continental encounter. The game, which will be the third of six Group D matches of the 2018/19 CAF Confederation Cup, will be played out at the Moi International Sports Centre at the heart of Kenya’s capital. K’Ogalo warmed up for the visit of the North Africans with a disappointing one-all draw with Western Stima during their midweek encounter in the SportPesa Premier League. The champions began the match with extra venom, as they were fully aware that a win would elevate them to the very top of the standings ahead of Bandari, albeit on goal difference. Despite the high tempo start, Hassan Oktay’s charges had to wait until the 27th minute to grab the lead through Ernest Wendo. The midfielder linked up well with Jacques Tuyisenge and Dennis Oliech before releasing a right-footed shot which easily whistled past Stima goalkeeper Samwel Odhiambo. Having initiated a number of changes to the starting eleven, quite arguably with his sights firmly set on their must-win encounter against the Algerians, Hassan Oktay trusted his charges to finish the job in the second half against Stima. This belief was however challenged right at the start of the second half by the visitors, who drew level through Vincent Odongo. The midfielder let fly with a powerful strike from 30 yards, one which K’Ogalo goalkeeper Fredrick Onyango seemed to be gotten clear sight of. The second fiddle goalkeeper however found himself with nowhere to run and nowhere to hide, after his howler allowed the ball to sail dishearteningly into the back of the net through the left near post; gifting Paul Ogayi’s side with the thoroughly sough after equalizer in the 53rd minute. Desperately chasing the game at the thought of dropping two vital points against a beatable opponent, Gor went for the kill, and thought they had it three minutes later when Geoffrey Ochieng’s shot looked to have beaten Samwel Odhiambo; only for the center referee to recall the ball on grounds that Gor had committed a foul in the run up. Unable on find another goal, the 17-time league champions were forced to a draw by Stima who could have even ran away with maximum points had they been more clinical in front of goal in the latter stages of the encounter. Even worse for the champions is that they lost Joash Onyango to injury at the very tail end of the encounter; with the copper-bottomed defender looking certain to miss Sunday’s CAF Confederation Cup encounter. The draw as such left Mayienga second on the standings on 27 points—a single point behind leaders Bandari. NA Hussein Dey on the other hand prepared for their trip to Nairobi with a 1-0 win way to CR Belouizdad in the Algerian Cup. The only goal of the encounter was scored by left back Naoufel Khacef nine minutes before the break. Gor launched off their group stage campaign with a thrilling 4-2 home win over African giants Zamalek, only to let their guard down on the road against Petro de Luanda; losing 2-1 to the Angolan side. This as such has the East Africans third on the table on three points; behind second placed Petro de Luanda on goal difference while a point adrift of leaders NA Hussein Dey. The Algerians have amassed four points after their 2-1 home win over Petro de Luanda in their opening match of the Group D was followed by a 1-1 draw away to Zamalek. The forgettable midweek dress rehearsal aside, Gor Mahia still has all it takes to emerge with a huge win on home turf. This is however no excuse to undermine the visitors placed eighth in a very competitive Algerian Ligue 1. Prediction: Gor Mahia or NA Hussein Dey to win at 5Dimes.